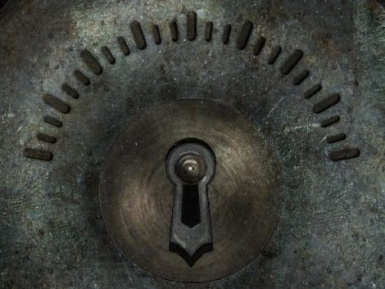 This mod add a little graduation encrusted in the lock texture of chest. There are 3 possible graduations, pick up the one you prefer. 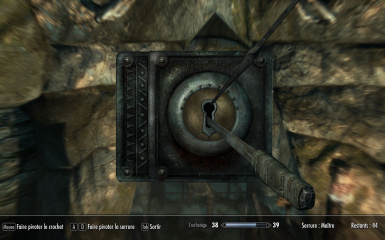 I wanted it to be discrete and that it doesn\'t break the gameplay : the graduation only provides a visual reference point on where was your picklock when it broke. Bethesda owns the copyright on the game Skyrim and the original texture i modified and provide to skyrim players who bought the game. Please respect their copyright and hard work, and dont harm them by adding this texture to any software you might sell. Don't complain to me if it doesn't work or your PC blows up. This mod add a little graduation encrusted in the lock texture of chest. There are 3 possible graduations, pick up the one you prefer. 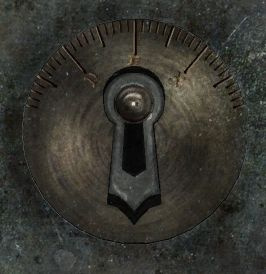 I wanted it to be discrete and that it doesn't break the gameplay : the graduation only provides a visual reference point on where was your picklock when it broke. Option A : Loose graduation with arrows and large steps. 1. Choose which option you prefer and download the file manually or with the Nexus Mod Manager. The vanilla texture will be reactivated. 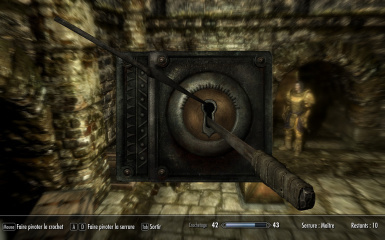 This mod conflicts with any mod that changed the lock01.dds texture. The last installed one will replace the previous one. If you find an interesting mod which conflict with this one, please inform me. 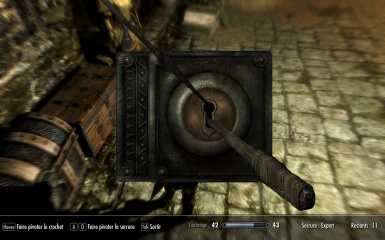 I checked the mod Skyrim HD v1.3 and it doesn't modifies this texture. *Alternatively, you can delete or move those two .esp files from Steam\SteamApps\common\skyrim\Data to a backup folder you create just for this. Save, and it should now work properly. * 1.0, 2012/1/20 - Initial release. * 1.0, 2012/1/21 - Added Option C.